As I've mentioned, I'm running the Rock 'n' Roll New Orleans Half Marathon this weekend! 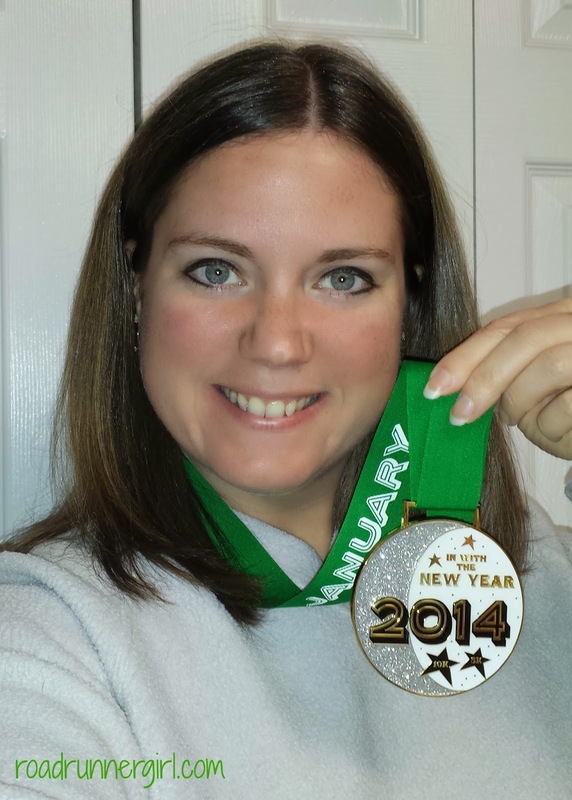 It will be my 4th time running this race (it was my first full marathon in 2012)! This year I'm super excited because the weekend will be spent with some bloggers I've been trying to meet for about a year and a half! Me and my awesome pace partner Holly from Running and Baking Oh My are sharing a hotel room with Abby from Back At Square Zero and Sarah from Mom Running on Empty! I'm so excited to meet Abby and Sarah in real life! And to just add icing on the cake....we are going to be involved in a tweet up at the expo! Yes that's right! Sarah and I will be interviewing Abby and Dani from Weight Off My Shoulders! We will be discussing how social media and online communities affect the modern runner! 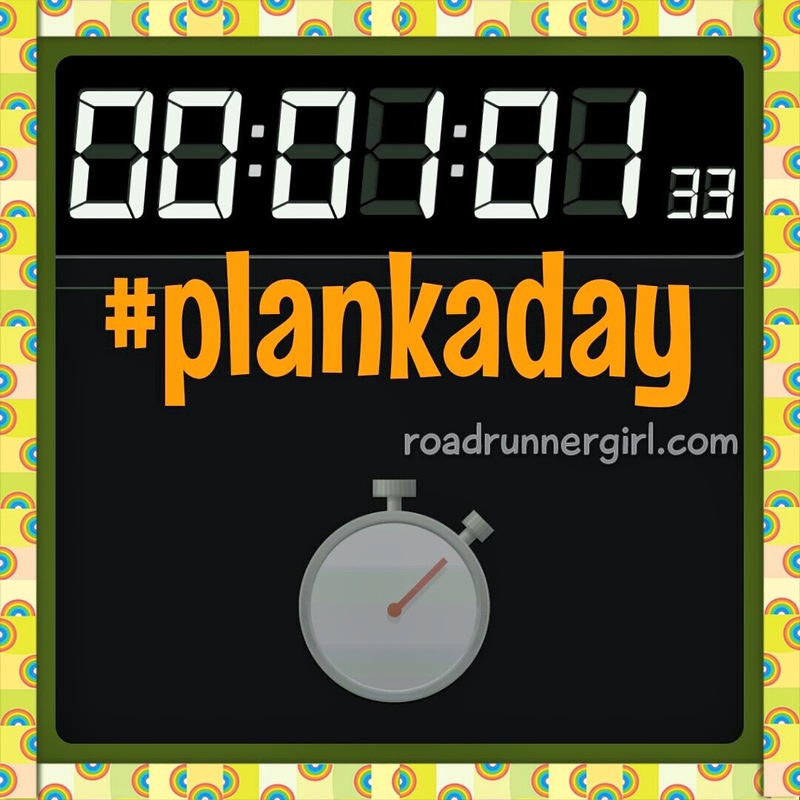 Afterwards we will be hanging out and meeting some new running friends...that means YOU! I hope to see many of you there! Please don't hesitate to come up to me and say hi if you see me! I love meeting new people! Be sure to follow us all on Twitter too! The expo is open to the public so even if you aren't running the race come out and hang with us! QOTD: Are you running Rock 'n' Roll New Orleans? Have you ever attended a social meet up? 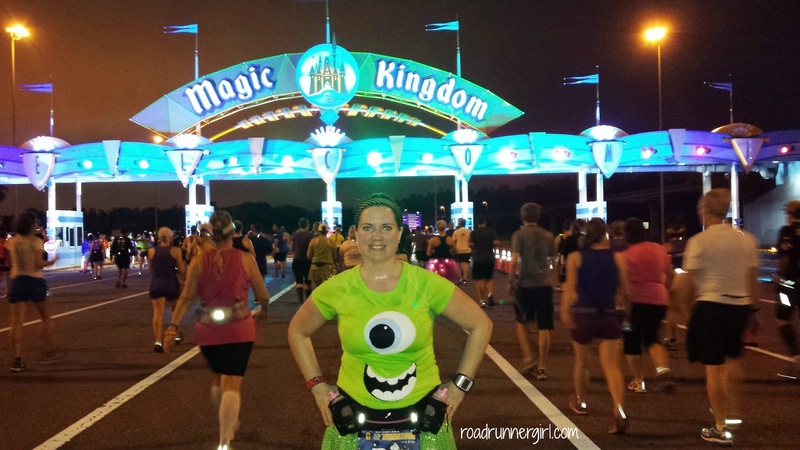 Walt Disney World Marathon Weekend...Magic Kingdom Day! We got ready and then ate a quick breakfast at the resort. Why yes I had a Mickey waffle! ;-) Then I had to visit the concierge desk to clear up a Magic Band issue (you can read about that here). Finally we loaded the bus (love Disney transporation) and were on our way! 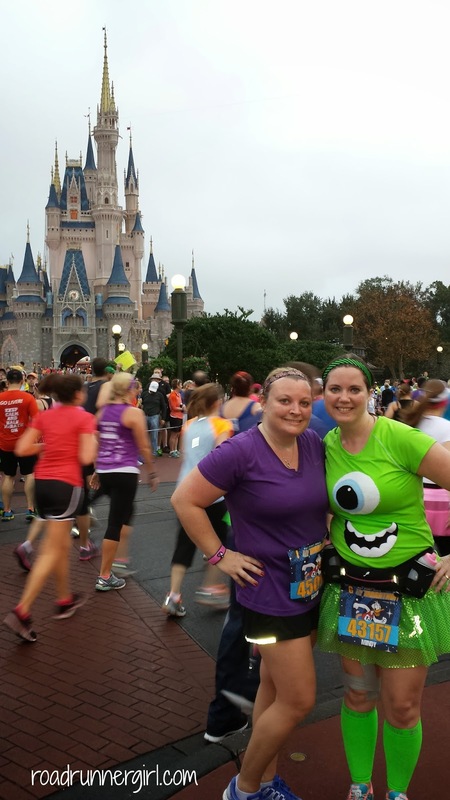 But....it took a little longer to get to Magic Kingdom than normal due to....a little marathon that was happening!!! We saw some of the runners as we were waiting in traffic! I was so excited for them! Finally we made it to Magic Kingdom! First stop...pictures in front of the castle of course! And then I had to visit Donald. And he asked to wear my medal! Next, it was time to ride some rides! We headed toward Tomorrowland and stopped to help Buzz Lightyear! 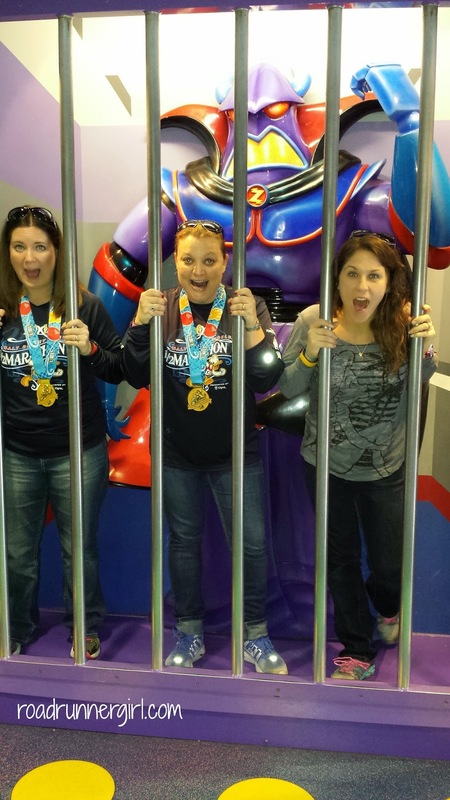 Unfortunately Zurg caught us! Aaaggghhh! 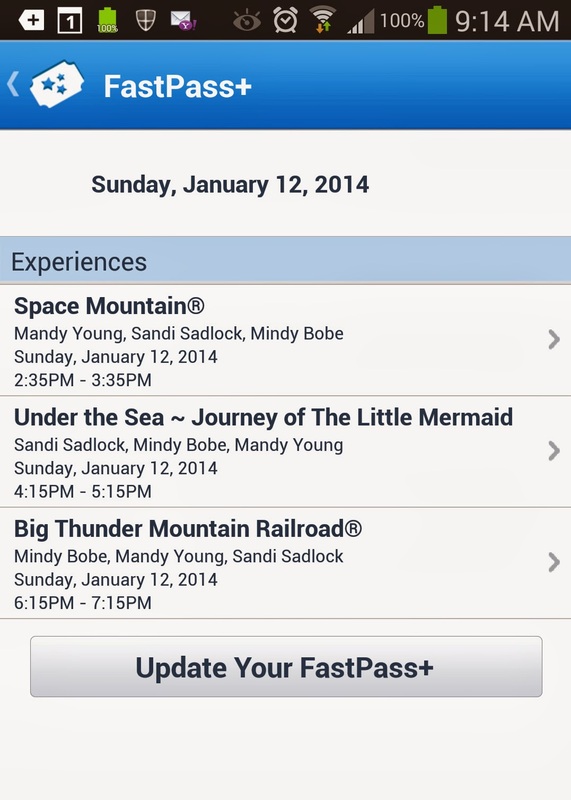 The rest of the day was spent riding all the most popular rides! The lines were almost non existant and that was so nice! The weather was perfect! The high was in the 60's so we never got hot. And we didn't get cold until later than night. I even encountered a few rides that I had never ridden! I love discovering new things at Disney! And I took lots of pictures! 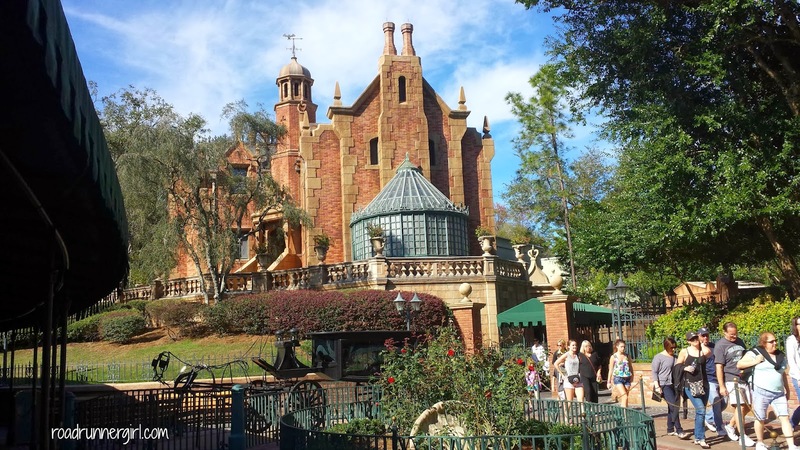 The Haunted Mansion from the Liberty Square Riverboat! 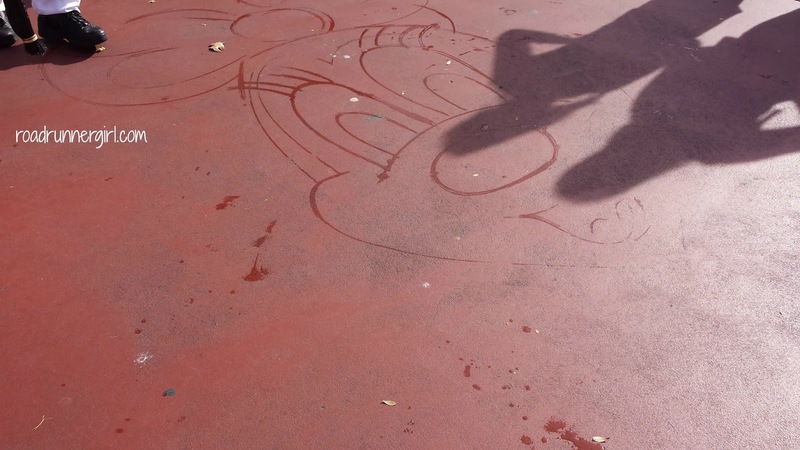 As we were walking through the park we saw a cast member drawing Minnie Mouse on the ground using a broom and water! It was hard to see on my phone so I cut off some of it in my picture. But it was pretty neat to watch him draw this! More pictures of the castle! I mean seriously can you ever have enough pictures of the castle? I don't think so! And of course I had Mickey Mouse ice cream!!! We even caught a little bit of the Move It! Shake It! Celebrate It! Street Party! After dinner Sandi decided to head back to the resort. 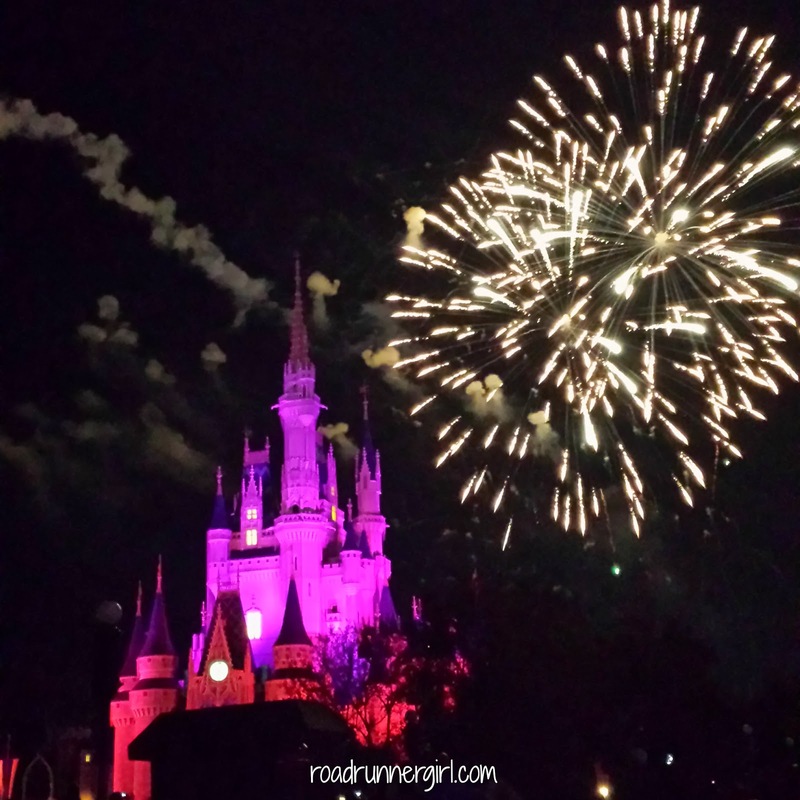 Brooke and I chose to stay at Magic Kingdom and partake in the Magic Hours that night. 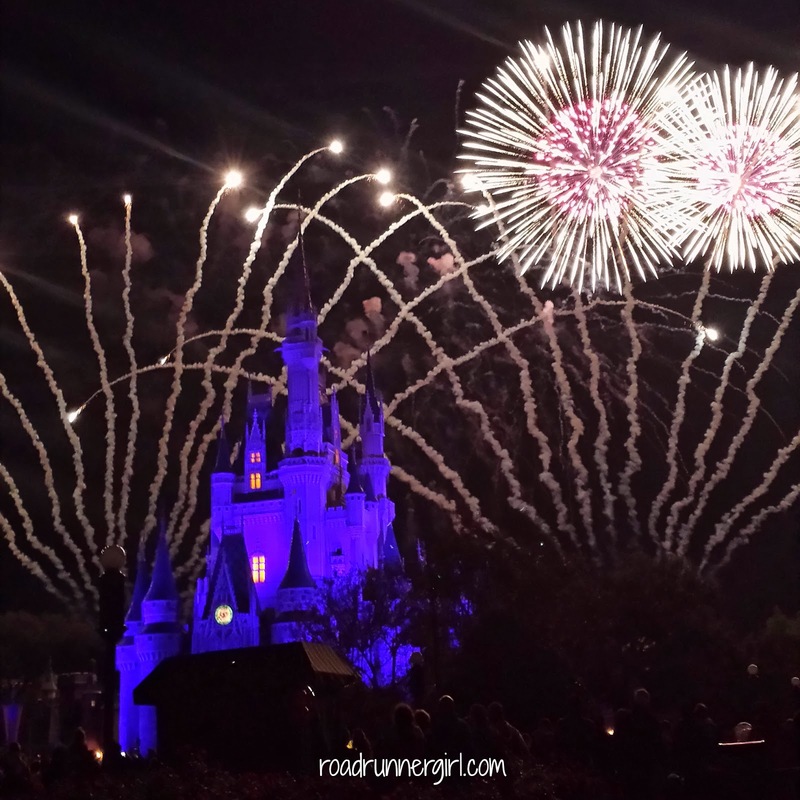 First we watched the night time show and fireworks at the castle! It was amazing!!! 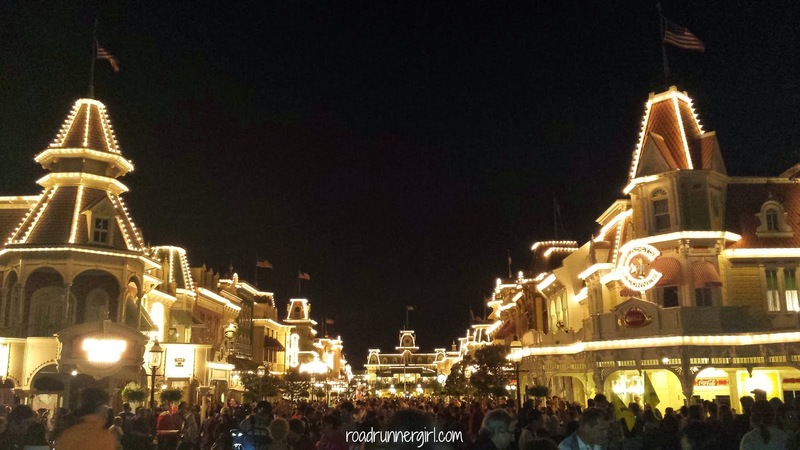 Main Street U.S.A all lit up! 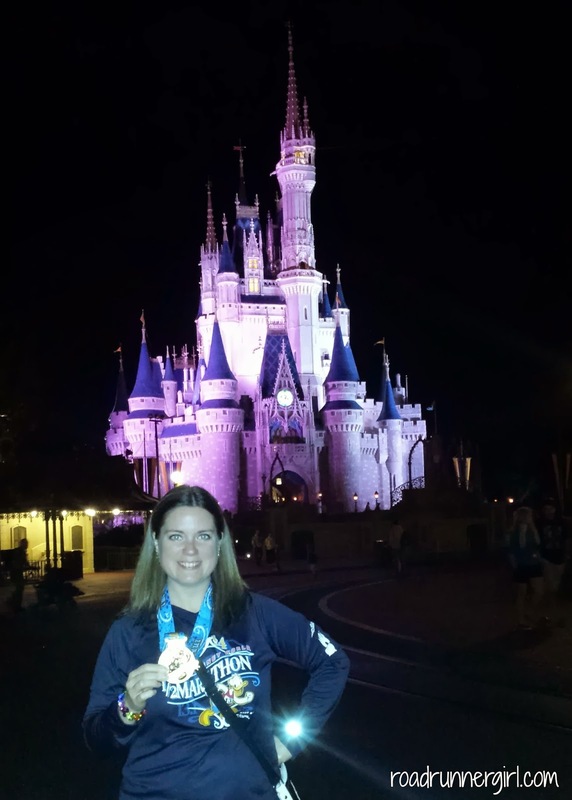 And of course I needed a nighttime picture in front of the castle! Brooke and I had a blast during Magic Hours. Most of the park had cleared out! There were zero lines for anything! We even rode the Pirates of the Caribbean ride....and had the entire boat to ourselves! When it was time to leave it was bittersweet. 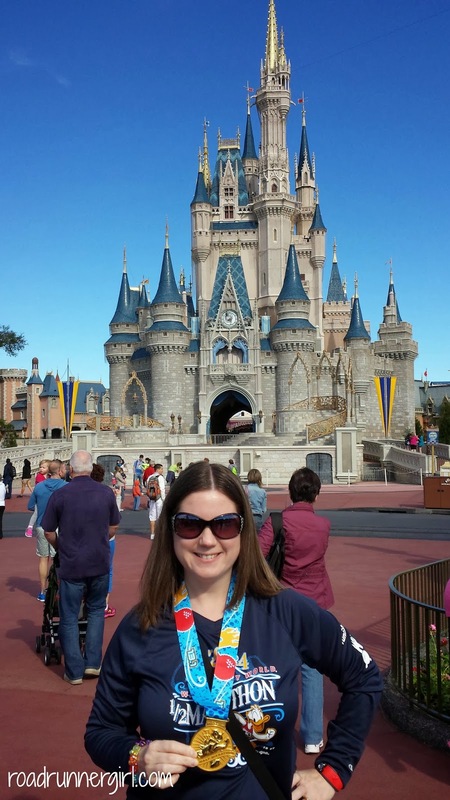 I had had so much fun in Disney and couldn't believe the weekend was already over! 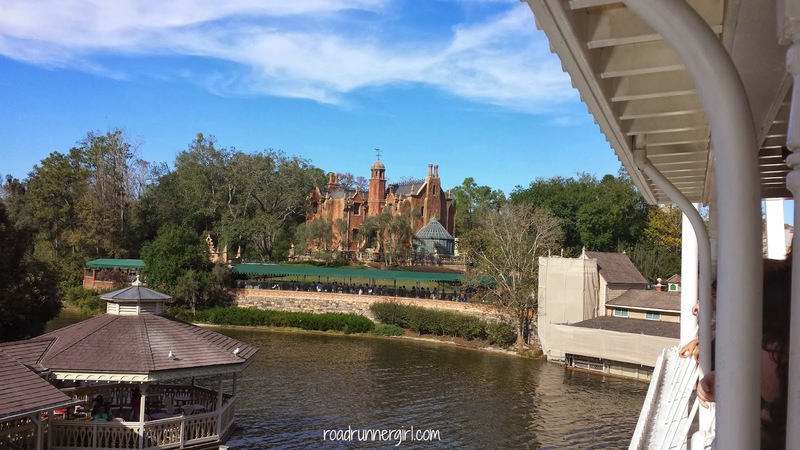 QOTD: What is your favorite ride at Magic Kingdom? 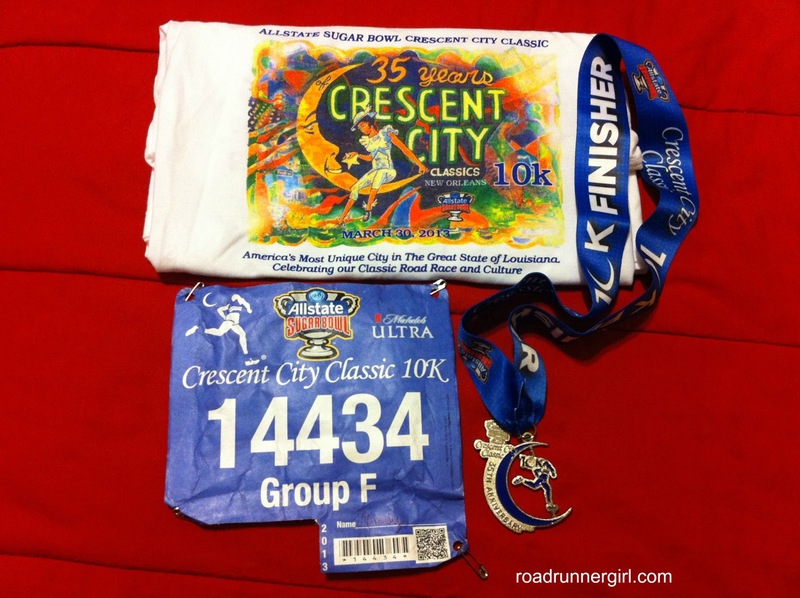 Last year I ran the Crescent City Classic 10K for the first time! I had a blast running this race! 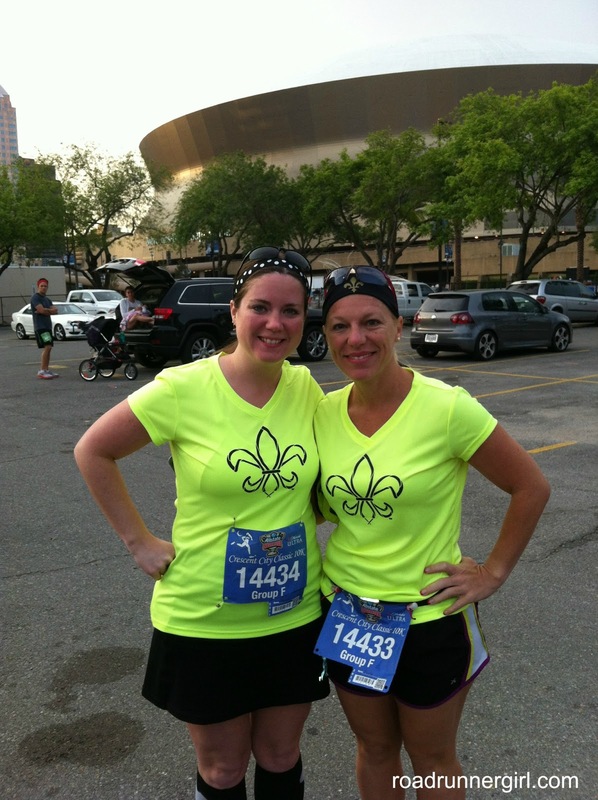 I was running in one of my favorite cities (New Orleans) with one of my best running friends (Paige)! This race was so much fun and I am so excited to run it again this year! 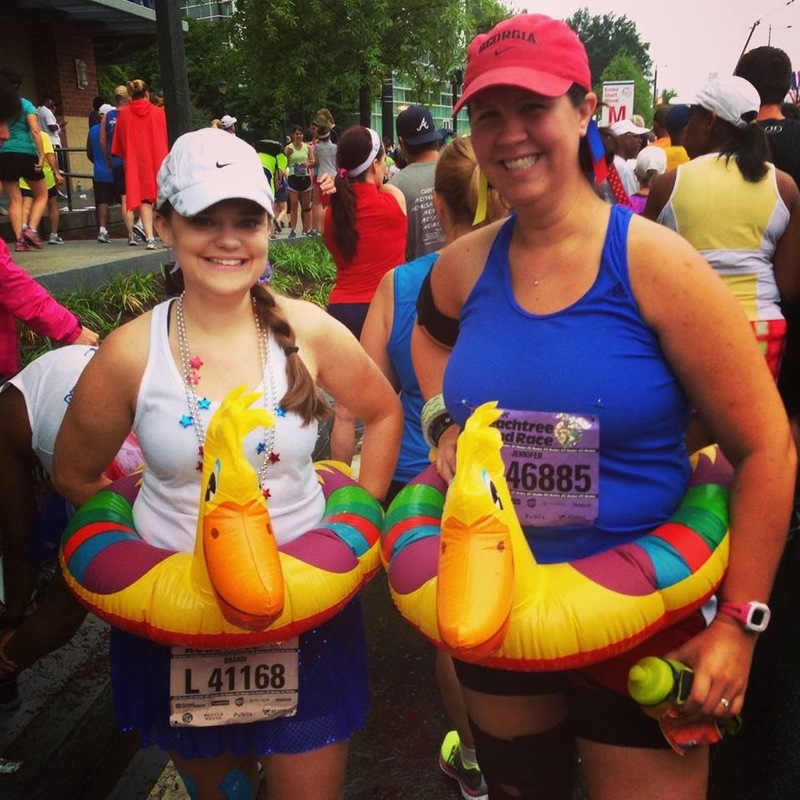 I want to tell you about the Crescent City Classic's "Run For It" program! People can choose to register (for free) and fundraise for 1 of 10 local (and deserving) charities. 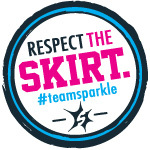 They will get an upgraded race t-shirt, a special "Charity" bib number, and perks on race day (private port-o-lets/gathering areas at the start & finish) in exchange for raising a minimum of $200 for their Charity by race day. They've already raised over $6,000, but hope to reach $1 million! I fundraised for St. Jude Children's Hospital last year and I will tell you that $200 is not hard to raise! Especially for a local charity! It's a win win for all...and you get to run the race for free! I hope you will consider signing up for the Run For It program! I'd love to see you at the start line on April 19th! Be sure to check out the Crescent City Classic on Social Media! They are on Facebook, Twitter, and Instagram! 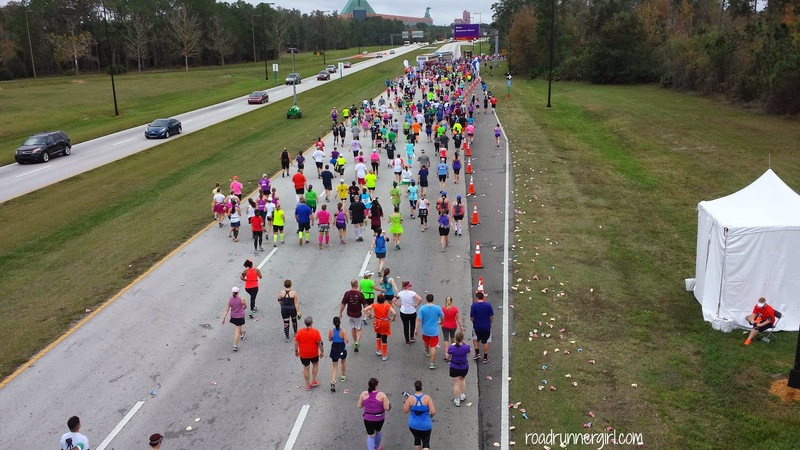 QOTD: Are you running the Crescent City Classic? Why hello Monday! I haven't had a real Monday in two weeks! 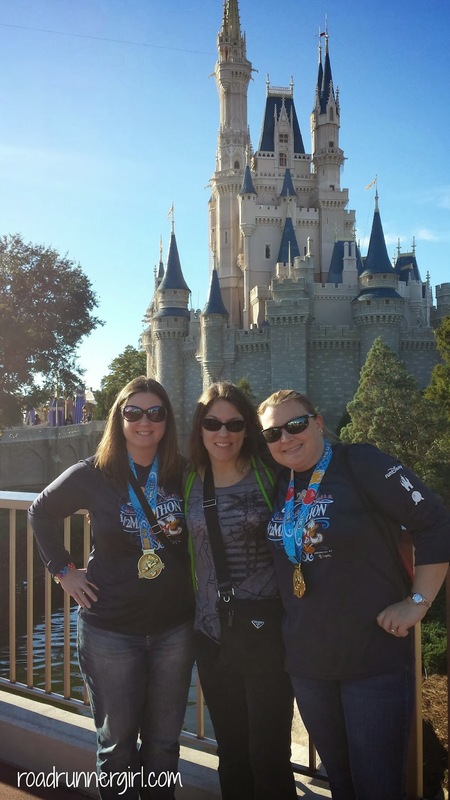 Last Monday was a holiday and the Monday before that I was traveling home from Disney Marathon Weekend! So this week you're telling me I have to work a 5 day week? What? Last Friday was a day in history here on the Gulf Coast! It was super super cold and we had sleet, freezing rain....I don't know what to call it except that little balls of ice were falling from the sky! Really...what is this called? Some were saying snow, some were saying sleet, others were saying freezing rain. I have no clue! But I took pictures and video for my boys before I left for work! 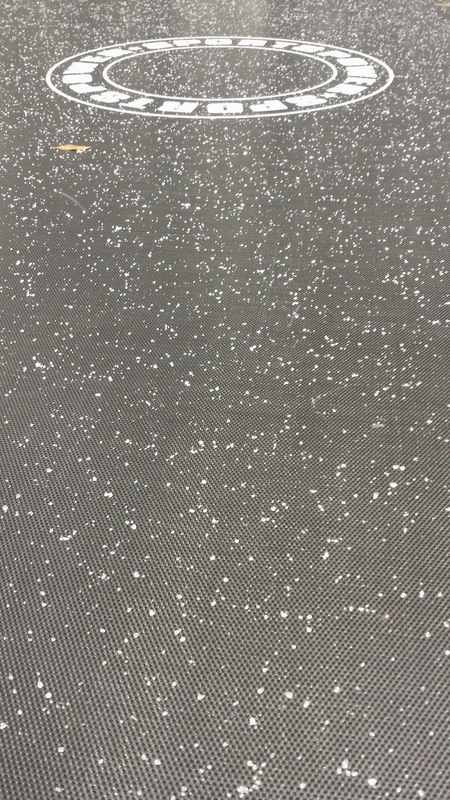 You could see the ice on our trampoline! They are predicting another really cold day tomorrow. And there's a chance of SNOW! Here on the Gulf Coast! What is going on???? I am freezing around here lol! Luckily, the weekend is supposed to warm up to the 60's. I should have temps in the 50's at start time for the Rock 'n' Roll New Orleans Half Marathon! Perfect running weather! Goal #1: Run at least 2-3 times. Yes! 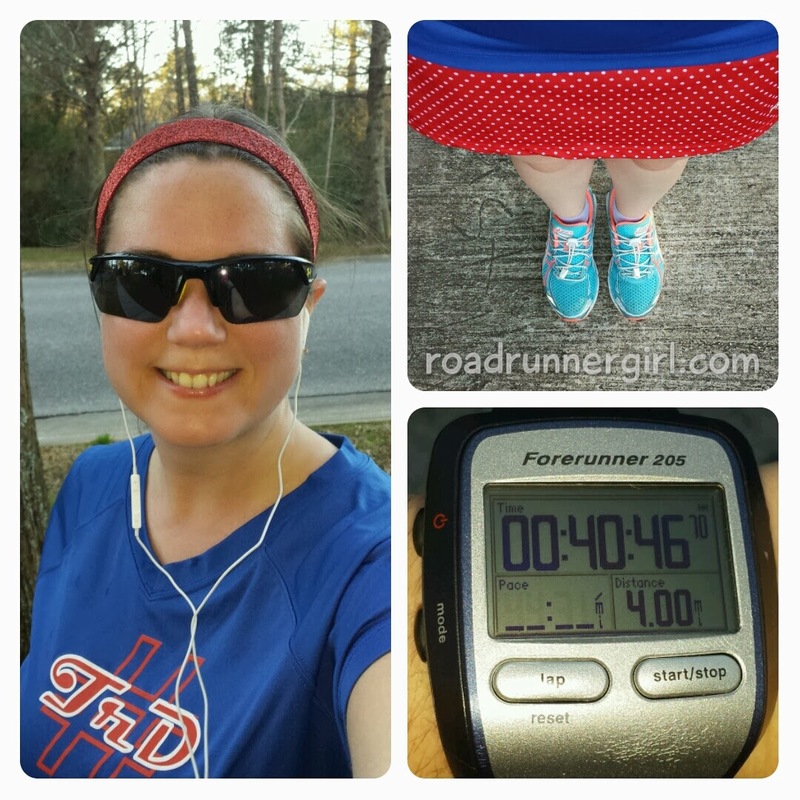 I ran twice this week! 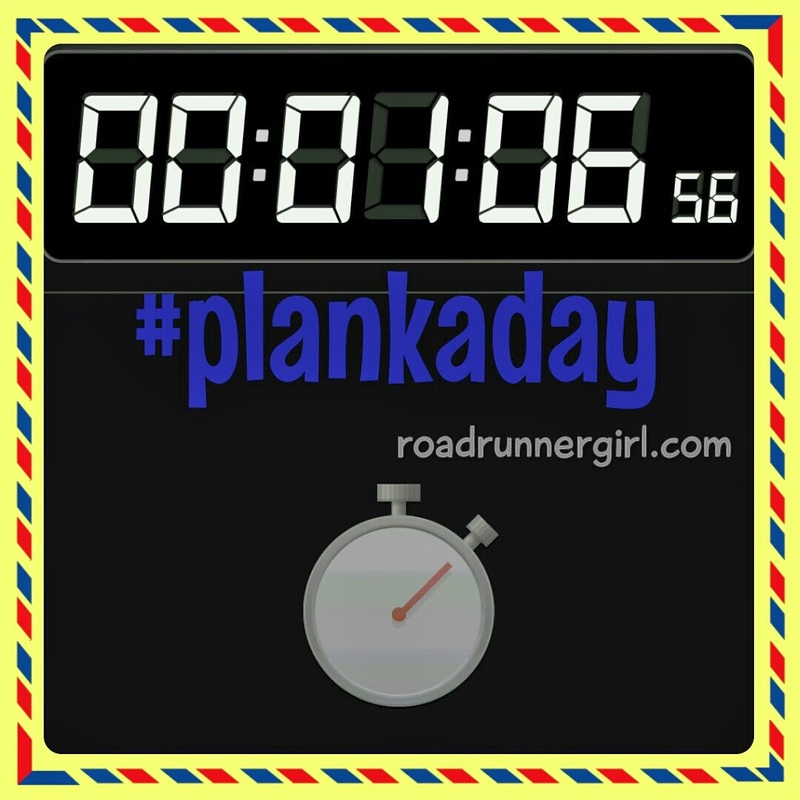 I ran a short run and then am 8 miler this weekend! Goal #2: Roll and stretch daily; ice after each run. 75%. I didn't do this every day but I did do it more than last week! Goal#4: Cook more meals than we eat out this week. Yes!!!! I'm pretty excited about this one! We only ate out twice this week. We had Moe's Southwest Grill on Wednesday night and Pizza on Friday night. All the other nights we ate meals at home! Goal #1: Run at least once before I leave for New Orleans. I would love to run twice but I'm only committing to once since we are having some extreme cold weather here. Plus I'm tapering so once will be sufficient. Goal #2: Roll and stretch daily; ice after each run. I really need to get back to this 100%! My left quad has some tightness in it that I need to get rolled out. Consistency is key! 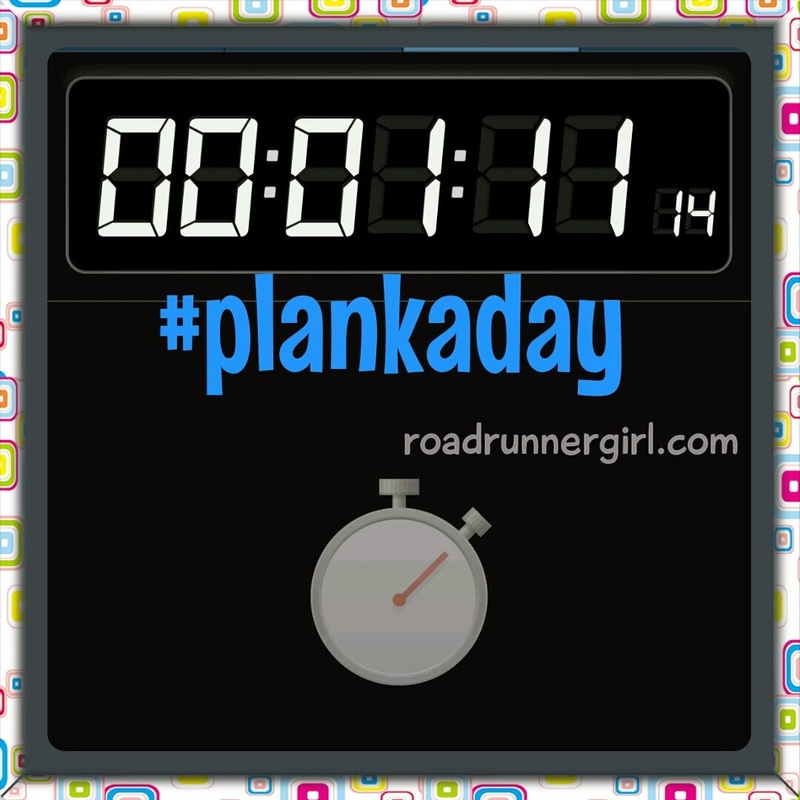 Goal #3: Fuel and hydrate for my 21st half marathon! This goal won't be hard for me lol! Goal #4: Pack for New Orleans. I hate packing and always procrastinate. I'd like to start packing on Tuesday. Goal #5: Cook more meals than we eat out this week. We are on a budget now because Sawyer has moved up in his gymnastics and is now on the boys pre team! I'm so proud of him! But that also means his monthly gymnastics fee doubled. So we need to cook more meals at home so we can afford to let Sawyer pursue his dream. That's it for this week! I'm so excited for the weekend and Rock 'n' Roll New Orleans!!!! 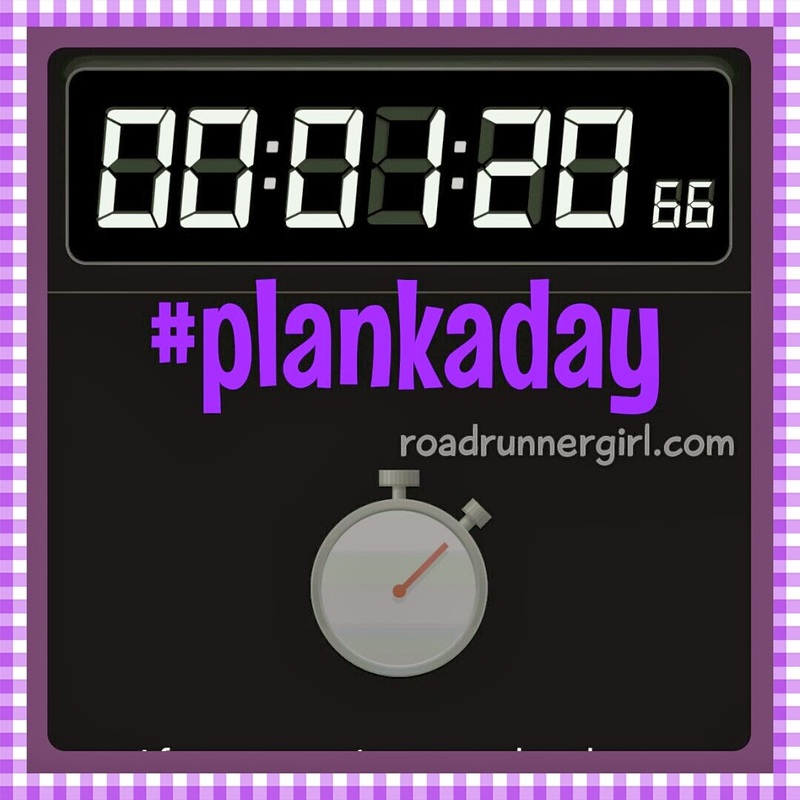 It's been a few weeks since I've done a Fitness Friday post! Last week I was recovering from Disney. 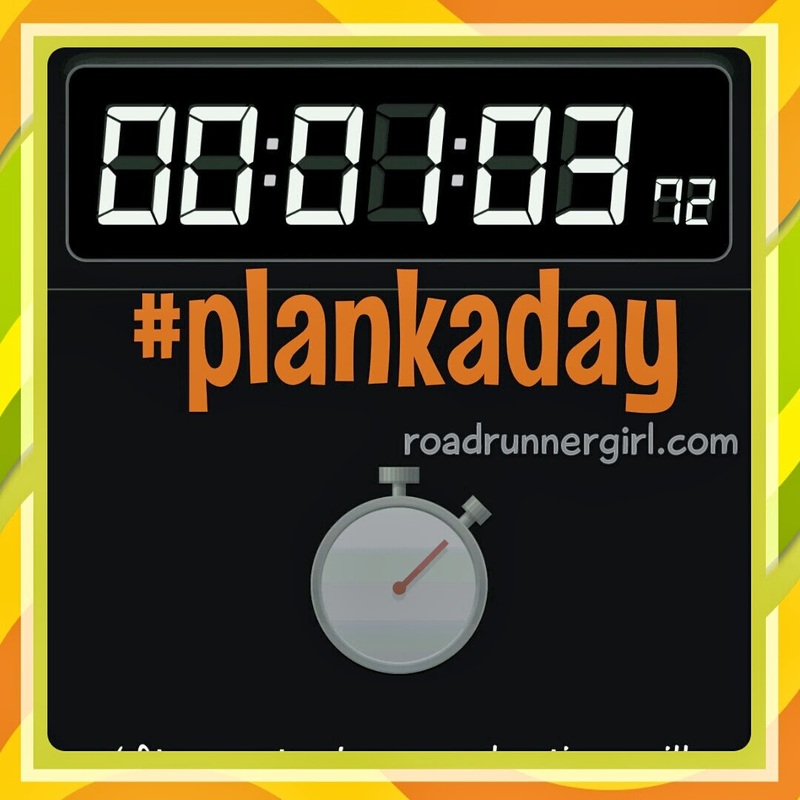 This week I tried to get back into a routine as well as taper for my next race...the Rock 'n' Roll New Orleans Half Marathon which is in 9 DAYS!!! This will be my 4th year doing this race. I've run the half two times and the full once. I had planned on running it this year but hadn't registered for it. So when St. Jude got canceled and they offered this race as a replacement I was so happy I hadn't already registered! 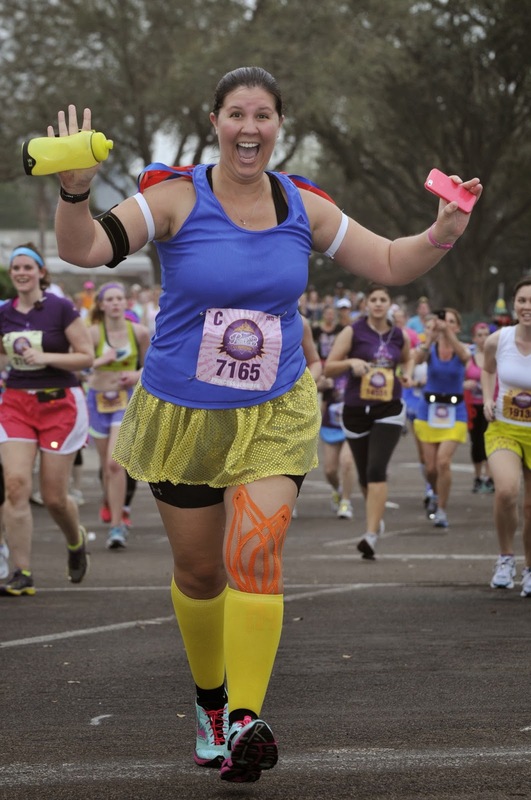 I'm also super excited because I have plans to meet several of my blogger friends at this race! 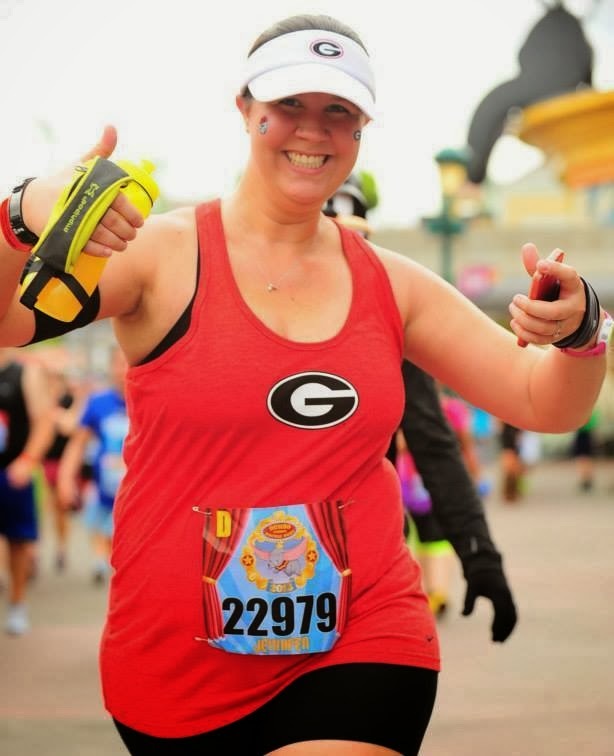 In fact, I am rooming with Abby from Back at Square Zero, Sarah from Mom Running on Empty, and my pace partner Holly from Running and Baking Oh My! I see Holly fairly often since she lives near me. I've been online friends with Abby and Sarah for about a year and a half but we haven't met in real life. I can't wait to meet them and hang out with them all weekend! 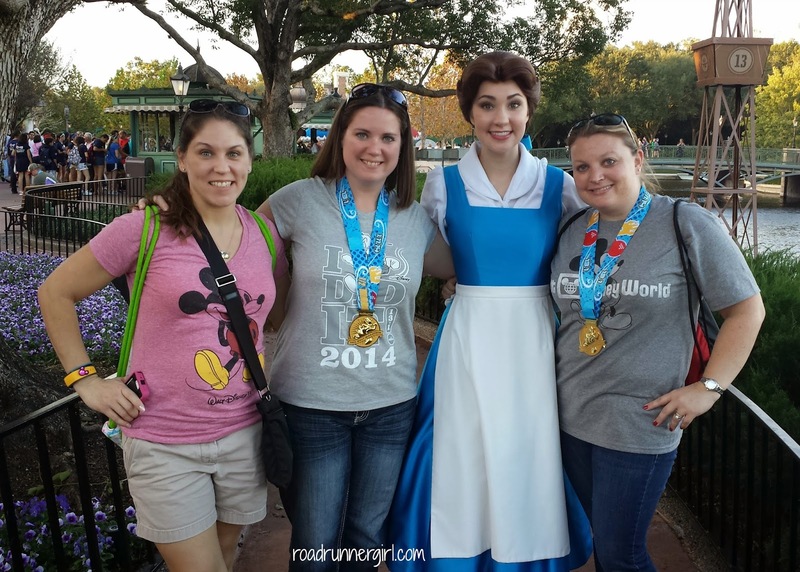 I just love meeting blends (blogger friends)! 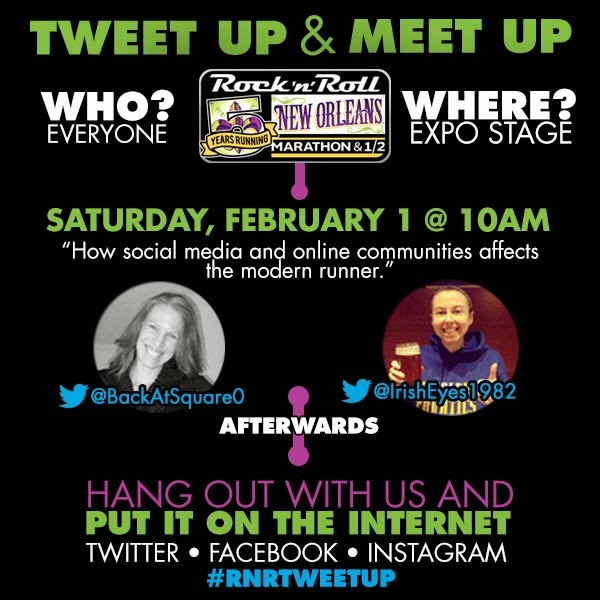 We are planning a tweetup so if you're running NOLA stay tuned for those details soon! Now it's time for Fitness Friday! Here's how this week went for me! So that was my week! 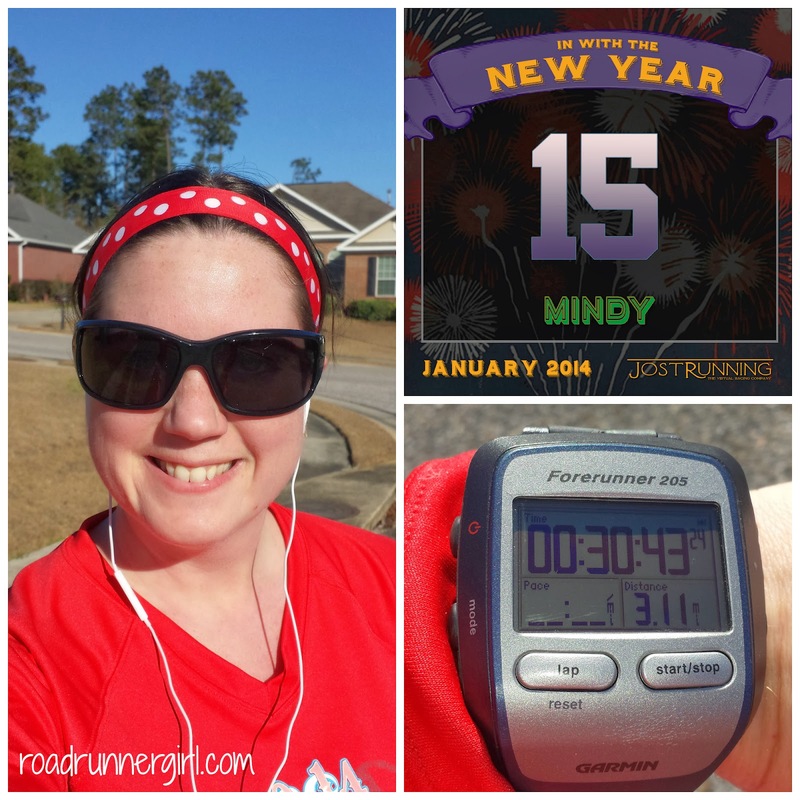 I didn't get to run as many times as I wanted but I got a few in. This weekend I plan on running about 7-8 miles. Then I have the Rock 'n' Roll New Orleans Half Marathon next weekend and the weekend after that is The Biggest Loser Half Marathon in Mobile! Busy, busy!!! But I love it! 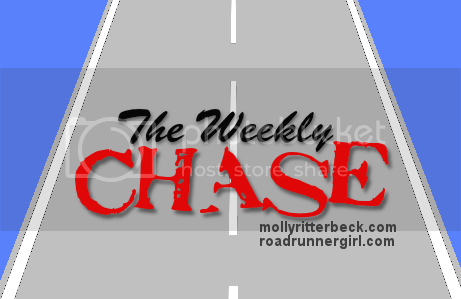 QOTD: Are you racing this weekend? What was your best run or workout this week? 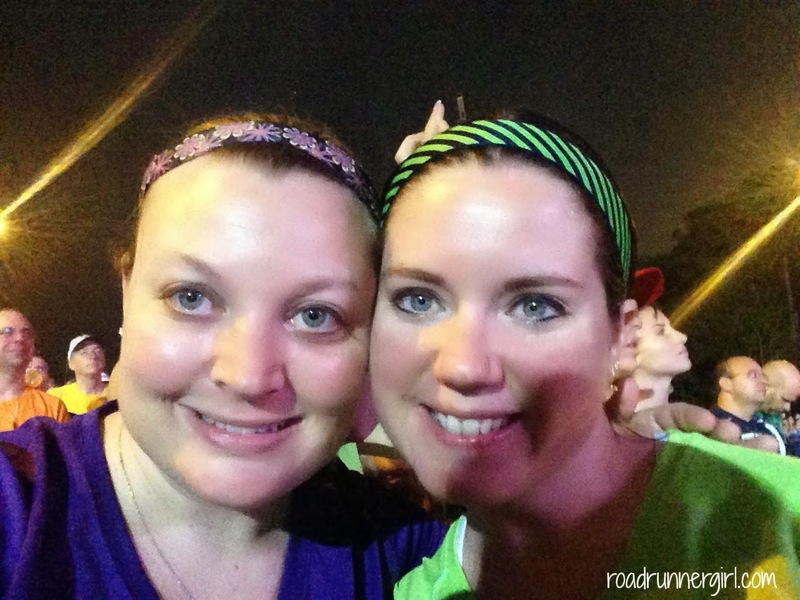 Walt Disney World Marathon Weekend...An Afternoon at Epcot! After running the half we headed back to the room to get cleaned up. The shower never felt so good! I was starving so we headed to the resort cafeteria to eat. For some reason I wanted a grilled chicken sandwich and salty fries! So that's what I got and it was delicious! Then we boarded the bus and headed to Epcot! You never know which characters will be there. 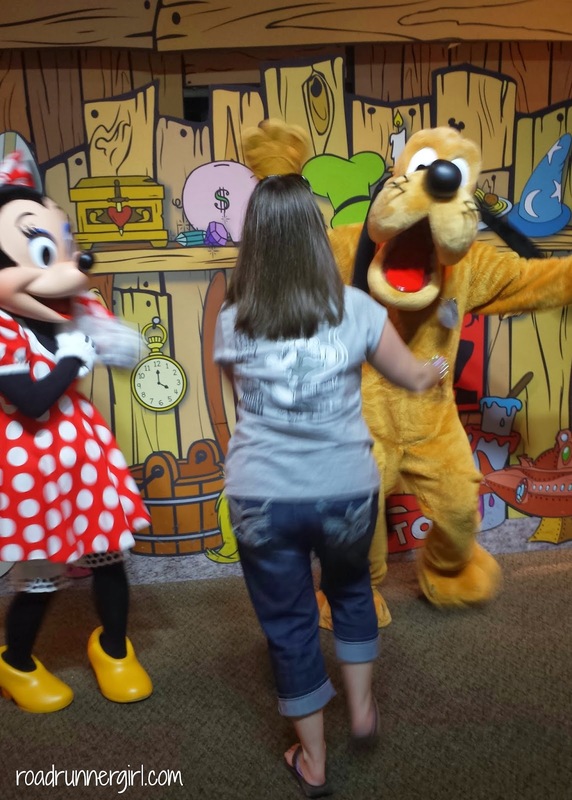 So I was so happy to see Minnie Mouse (my favorite) and Pluto! 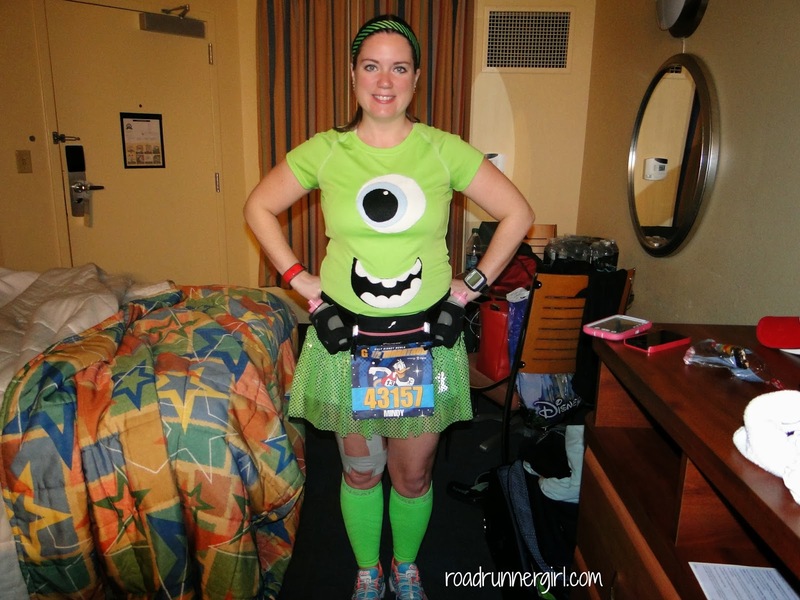 I told Minnie all about running her race the day before! 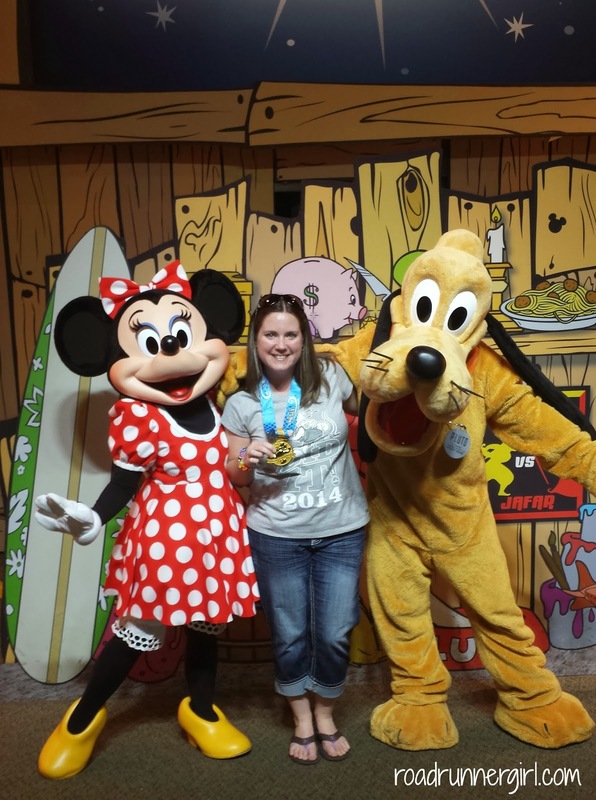 And I showed them my Donald medal...which Pluto licked lol! After playing with Minnie and Pluto we headed to ride some rides! We ended up getting Fast Passes (using the new Fast Pass +) for Spaceship Earth (which we really didn't need one for but it was one of our choices), Mission Space, and Soarin'! Soarin' is one of my favorites! We also rode Test Track as single riders...which meant no wait time! I was excited to ride it since it was closed this summer due to technical difficulties. And I haven't ridden it since it's been redone. It was super fun! We rode a ton more rides. There were hardly any wait times. It was heavenly! The rest of the afternoon and evening was spent in the World Showcase! It was fun to enjoy it as an adult with no kids! And we even got to see more characters because the lines were super short! They were all pretty impressed with our medals! 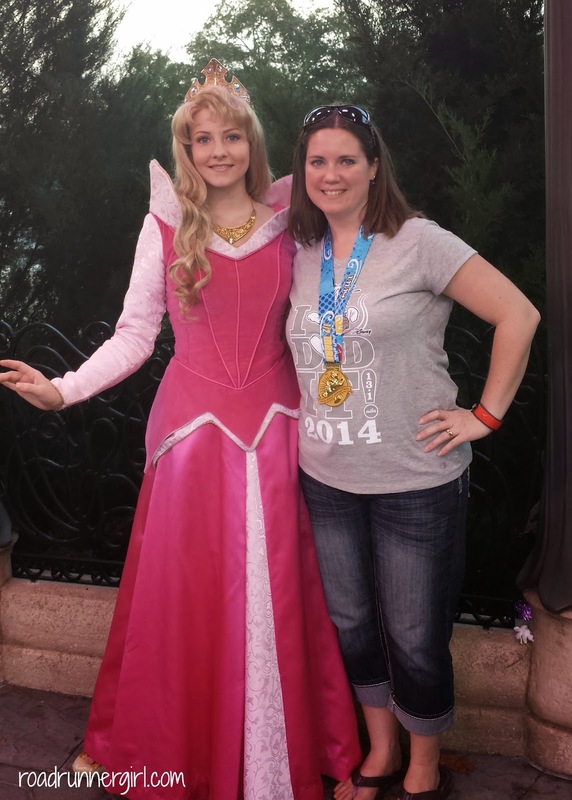 Princess Aurora (Sleeping Beauty)! 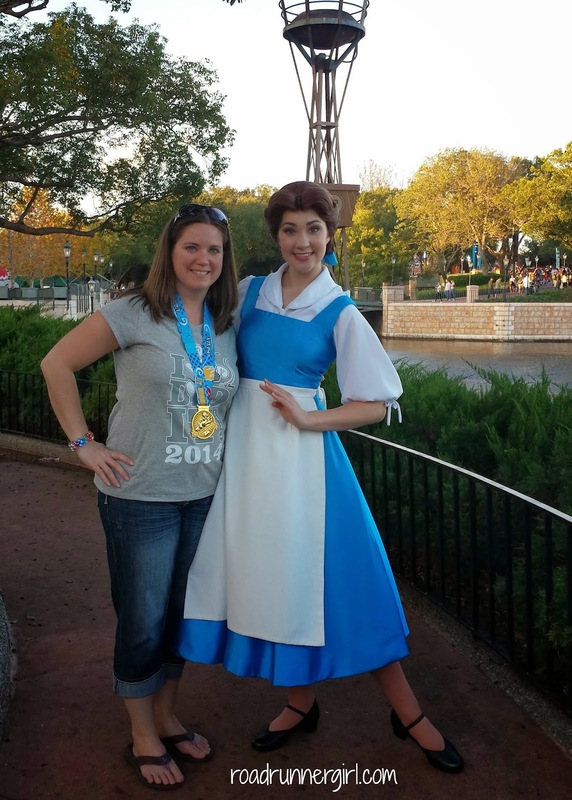 I had to get a picture with her since she is my favorite princess...and my son Sawyer's favorite princess! At dinner time we decided to eat Italian. We headed to Tutto Italia Ristorante. I had eaten here a long time ago and remembered it being good but boy was I in for a treat! I ordered the Ravioli di Ricotta. It had chicken, pancetta, and parmesean in it and it was the absolute BEST THING I HAVE EVER EATEN!!! And did I take a picture? NO! I could kick myself! Seriously, my mouth has watered several times since then wanting that dish! It was so good! While we were eating it started storming outside! I'm talking wind blowing, thunder roaring, lightning flashing, heavy falling kind of rain! We had planned to stay and watch the night show...IllumiNations but we were just concerned about making it back to the buses. We had no umbrellas or ponchos. And we were all the way in the World Showcase area...the back of Epcot! The radar was showing a ton of rain coming through but we spotted a tiny break in there so we were hoping that would be our chance. And luckily...it was! We walked through Epcot (with no rain falling) while watching what we could of IllumiNations. We made it to the buses and to our resort without getting rained on! It was a Disney miracle lol! We decided to call it a night once we got to the resort. 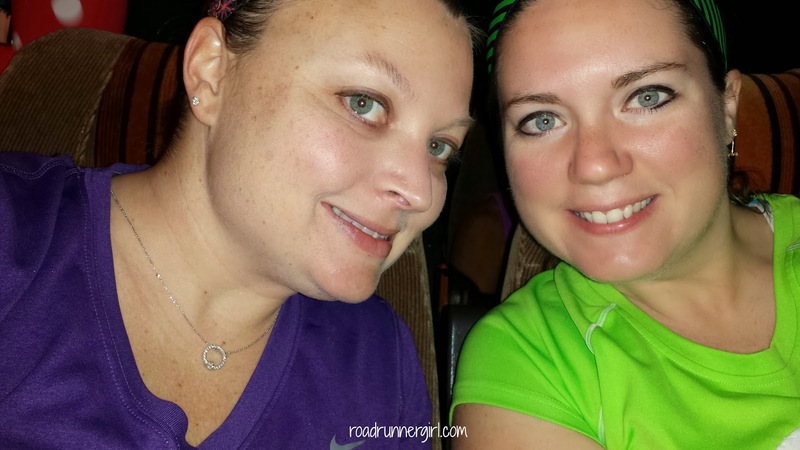 Sandi and I were pretty tired from being awake since 3AM AND from running a half marathon! Stay tuned for our day in the Magic Kingdom! QOTD: Have you ever been caught in a thunderstorm in Disney World? Every time I go there it rains lol! Saturday morning was ANOTHER 3AM wake-up call. That's the worst part of a Disney race...having to wake up so early. But it's worth it! 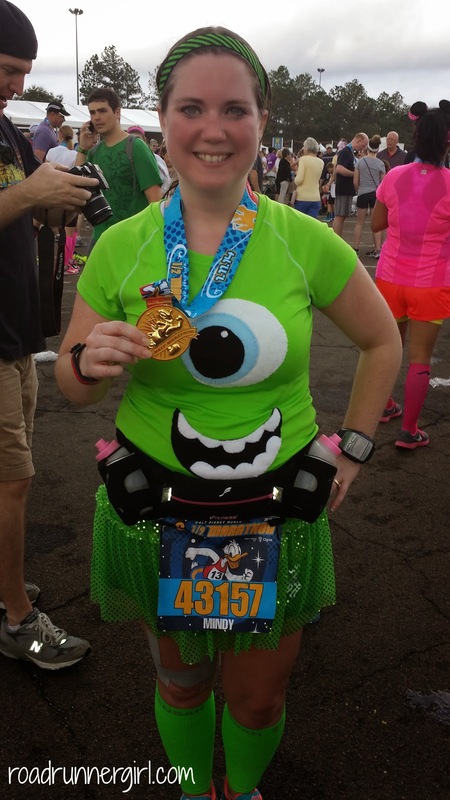 Today my friend Sandi was running the half too! We got ready and then headed for the buses. Disney transportation for race weekend is a plus! I love not having to worry about getting there on time or getting stuck in traffic. We had no line for the bus and got right on! Selfie pic on the bus! We got off the bus and started walking. We had to go through bag check since we both had hydration belts on. We didn't stay long in the meet and greet area. It was close to time to be in your corrals so we stopped for a quick potty break and then started the trek toward the corrals. If you've runDisney then you know this trek is about a mile long. I was starting two corrals back with Sandi in Corral I instead of my Corral G. Disney will let you move back corrals but not forward. We made it to our corral on time and immediately started enjoying the entertainment. 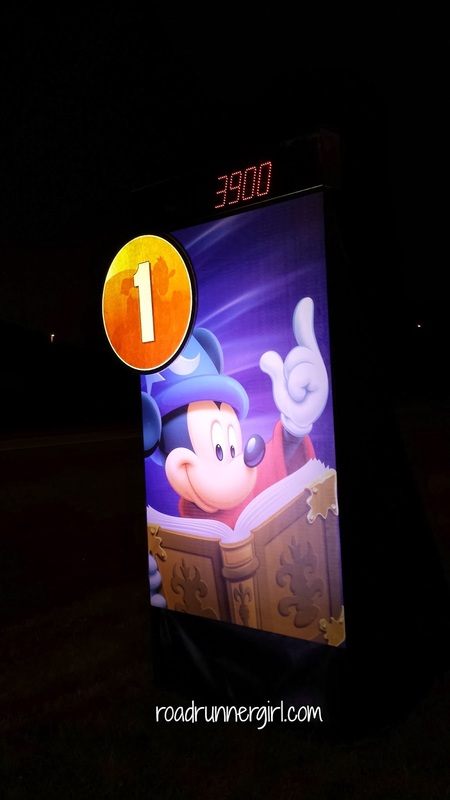 runDisney has huge screens up in the corrals so you have a good view of the stage. They had someone teaching us dances on the stage. He even taught us the moves to the song, "What Does the Fox Say!" Me and Sandi waiting in the corral! Ready to run! 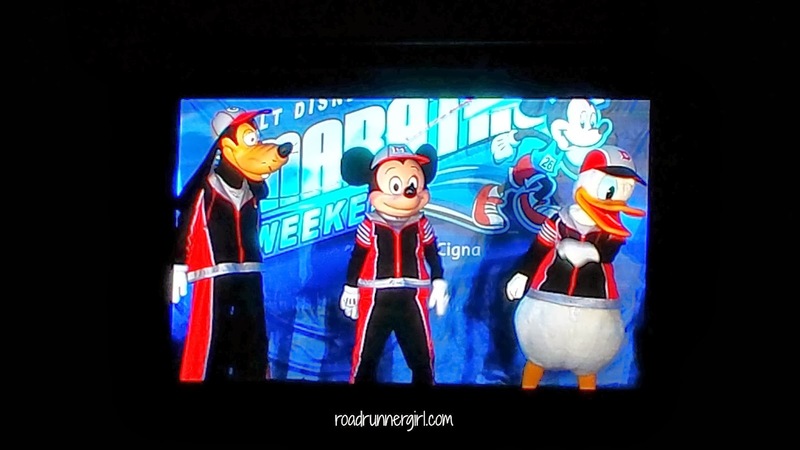 Then it was time for Goofy, Mickey, and Donald to wish us a great race! Since this was Donald's race he got to talk (or quack) a lot! Before we knew it, it was time for the first corral to start! Donald did an awesome job of counting down the start for each corral! And of course Disney had fireworks for each corral's start! Finally it was our corral's turn! Donald counted us down and off we went! Sandi was doing run/walk intervals of 2:1 so for the first time ever I did this with her. I'm not used to having to walk when my legs are so fresh but I wanted to run the race with her. Before we knew it we made it to mile 1! You could feel the excitement in the air from all the runners! Everyone was so excited! It was hot and humid but not as bad as it was for the 10K. I was feeling great! 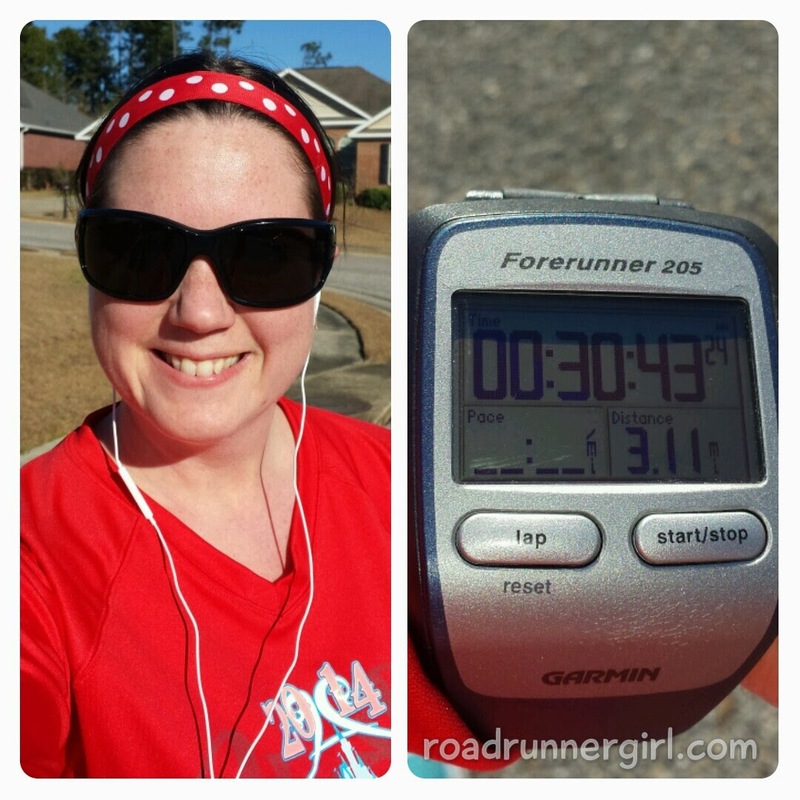 My legs felt strong but I was also running at a slower pace than I normally do. But my goal was all about having fun...not about my time...so I wasn't too worried about my pace. Our first character stop...Pirates! The line was pretty long but we stood there anyway. While waiting, we saw the first place runner run by! He was almost at mile 11! That was kind of hard to handle knowing he was almost finished and we still had a really long way to go. But it was cool seeing how fast those elite runners were running! 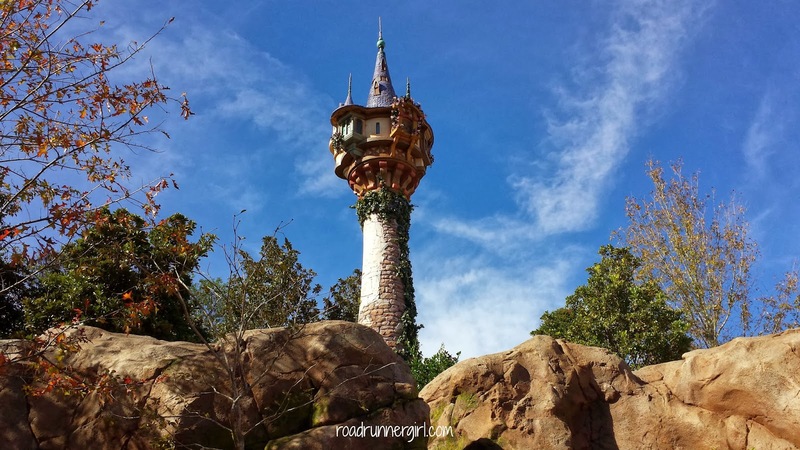 Before long we had made it to the entrance to Magic Kingdom! I knew the fun was about to begin!!! 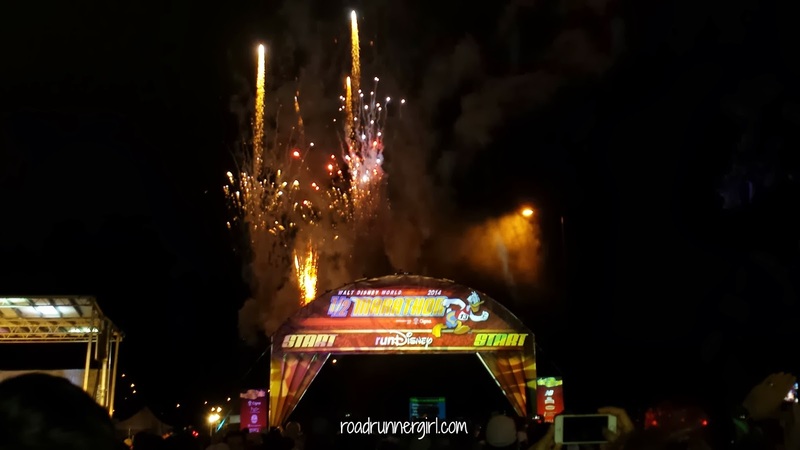 We ran past the speedway and saw Darkwing Duck and Launchpad on the side! But we didn't stop (I wish we had now). We headed towards the Ticket and Transportation Center and I saw Jack and Sally from The Nightmare Before Christmas!!! I had to stop for this one for my boys! In no time at all we made it to Magic Kingdom! 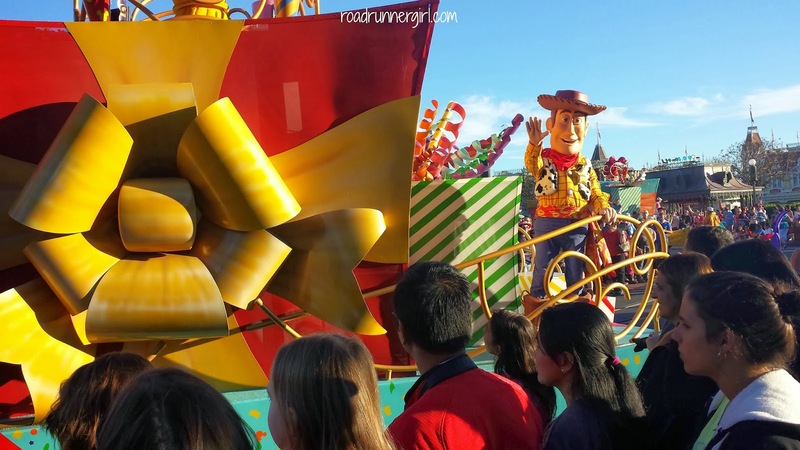 The roar of the crowd on Main Street is always so amazing! 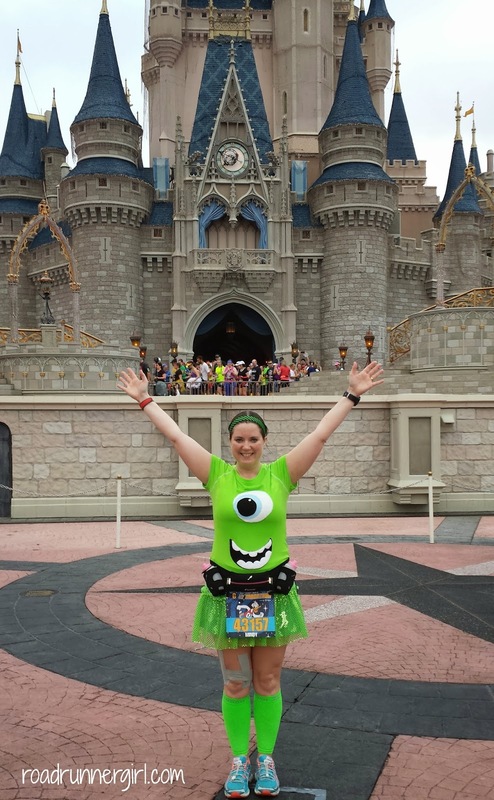 It's so fun to hear the spectators cheering you on as you run down Main Street and the Castle is in your sights! We stopped for a quick picture before we headed to Tomorrowland! 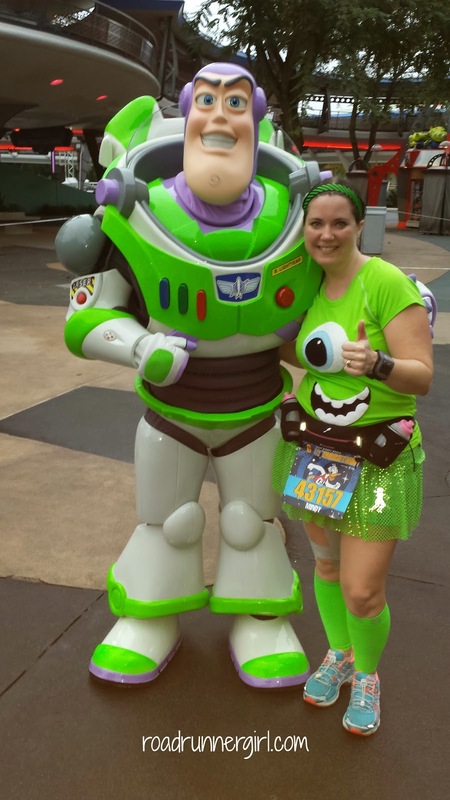 In Tomorrowland we spotted Buzz Lightyear! 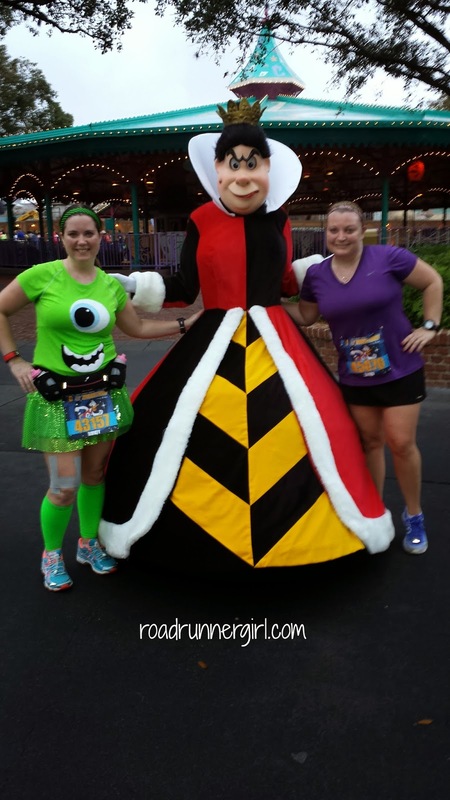 And by the Tea Cups we spotted the Queen of Hearts! Then we headed towards the castle! And major congestion began! It was so crowded! I've never ran through the castle when it was that crowded. Actually, it was so crowded that I couldn't even run. We had to walk. And I was a little disappointed. The photographers couldn't even take pictures because of the congestion. So I'm pretty sad there is no picture of me running out of the castle. :-( There was a photographer taking pictures inside the castle....so I got that one at least. But not great enough to buy in my opinion. Then we headed towards Liberty Square and Frontierland and out of Magic Kingdom. I knew this part of the course would be tougher. 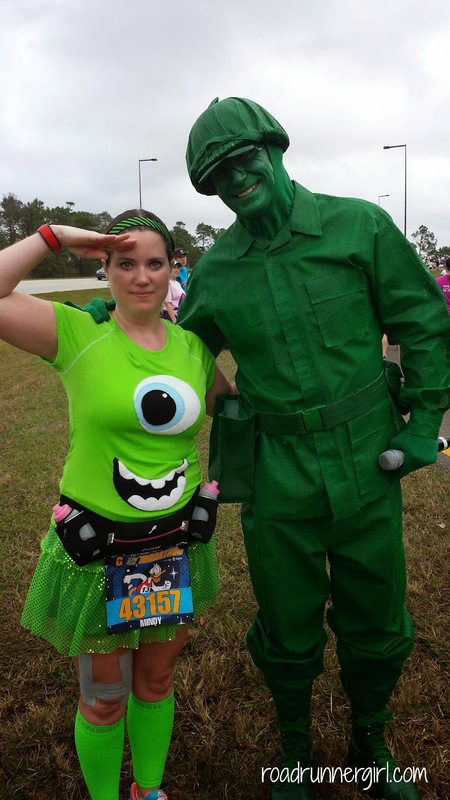 We ran past the Grand Floridian and a few more character stops but we didn't stop. It was very crowded here because the road is a lot more narrow. During our run breaks we were weaving in and out of walkers and it was exhausting. 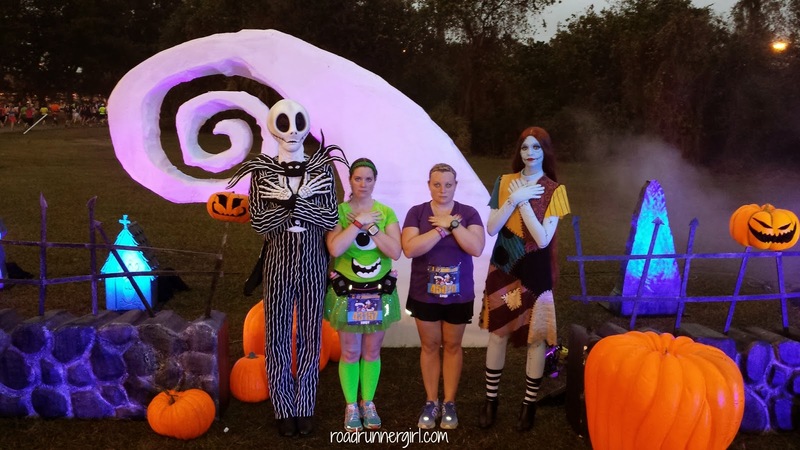 I loved looking at everyone's costumes while we were running! 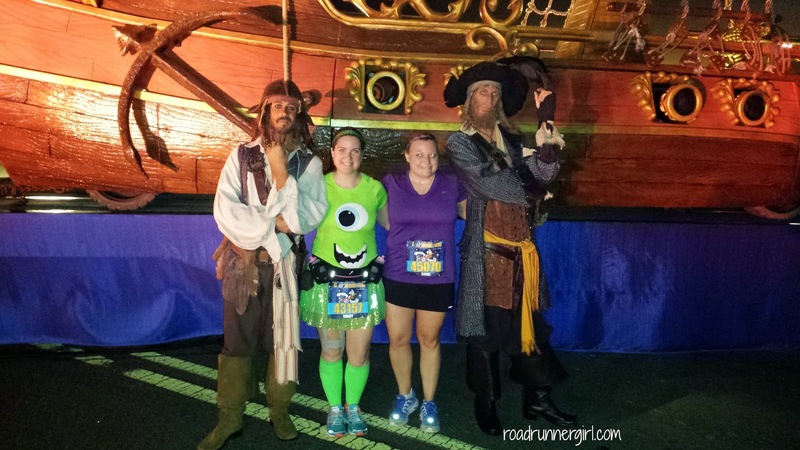 Gave me lots of ideas for my next Disney race! 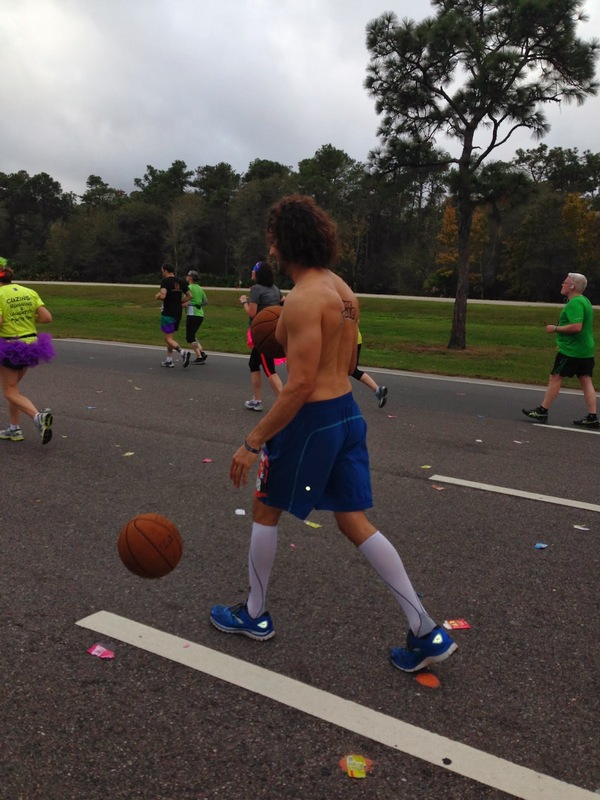 We even came upon this guy who was running the half marathon while dribbling two basketballs! It was Doctor Dribble! He was doing the Goofy Challenge so he ran the full marathon dribbling his basketballs the next day! Amazing! Sandi started struggling some around this point in this race. She had an ankle injury and it was starting to bother her. We were running a lot more slower on our run breaks. Finally we made it back onto World Drive and I knew the end wasn't very far. It was hurting me more to run slow and walk than just run. 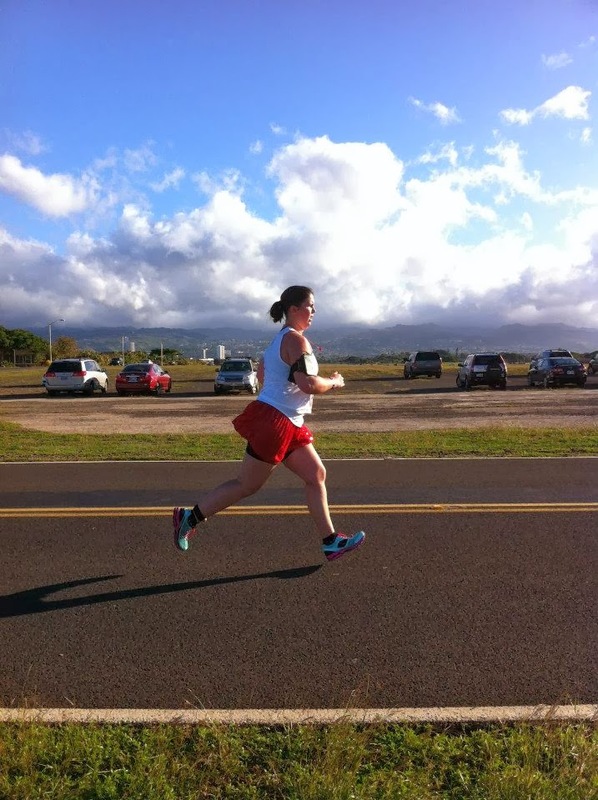 So around mile 10.5 (and with Sandi's encouragement), I took off to finish the race strong! And I got some encouragement from this Soldier! I'm always amazed at all the runners when I go on the overpass! 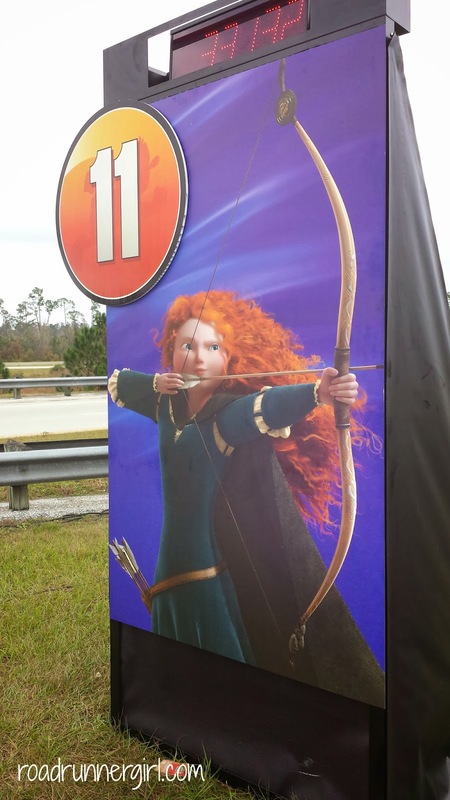 And then I saw the mile 11 sign and knew my fun was almost over. The last few miles consisted of me running and weaving in and out of all the people. Most everyone was walking...and I just wanted to run! There were a few places where I was forced to stop to a walk because I just couldn't get by. I was just ready to make it into Epcot where I knew I would have a little more room to get around. 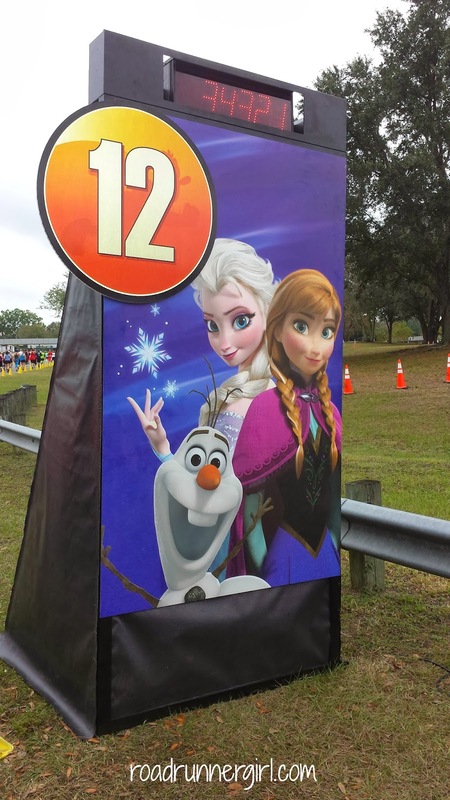 I was really excited to see Elsa, Anna, and Olaf on the mile 12 sign!!! And then we entered Epcot! Yay! A sweet cast member took this photo for me with Spaceship Earth behind me! 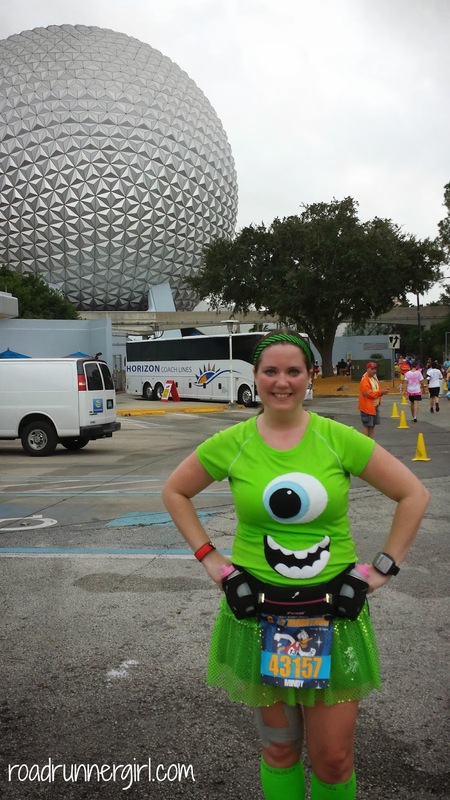 I knew at this point I just had to run a ways into Epcot and around Spaceship Earth and the finish line would be there! All the cast members in Epcot cheering for us was awesome! They really make you feel special! 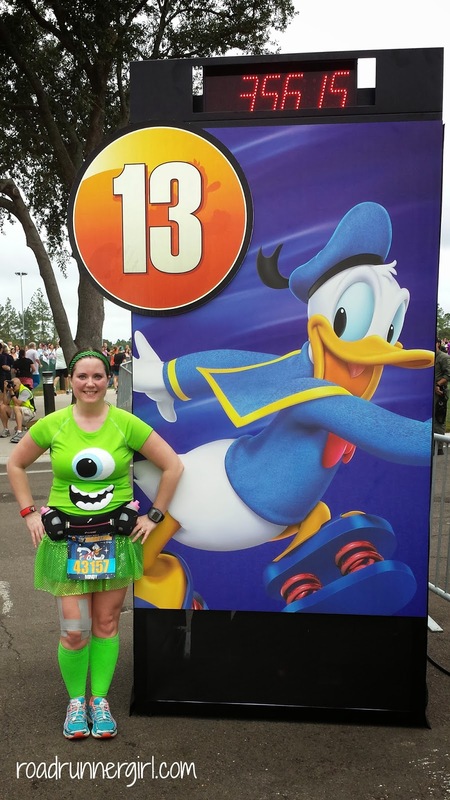 Before I knew it I saw mile 13 with Donald cheering me on! I rounded the curve and took it home! It was great having enough energy left in me to sprint to the finish line!!! And just like that....I had completed my 20th half marathon!!!!! It was my slowest yet (3:31:25)...but I had a blast! I received my medal and headed to the meeting place that Sandi and I had agreed on. Sandi wasn't too far behind me. She did great!!! I was so proud of her! 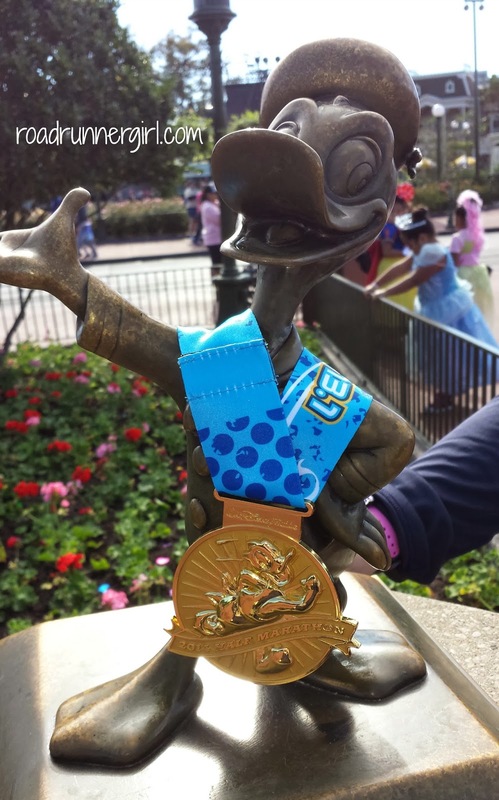 And I was so happy to get my first Donald medal!!! 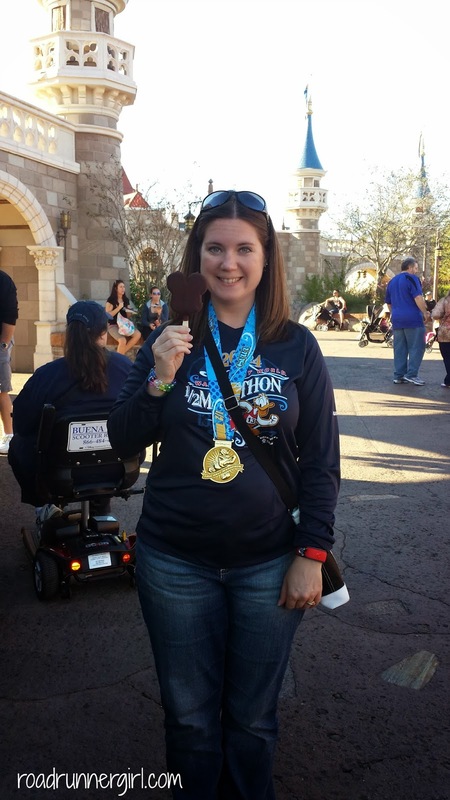 QOTD: Did you run the half marathon? Did you feel like the course was super crowded?